Maurice E. Dennis, Jr., M.D. Maurice Dennis is Board Certified in Pediatrics and a Fellow of the American Academy of Pediatrics. Dr. Dennis was born in Montgomery, Alabama. He received his Bachelor of Science degree in Biology at the University of Alabama and his Medical Degree at the University of Alabama School of Medicine in Birmingham, Alabama. He completed his Pediatric Residency at the University of Virginia. 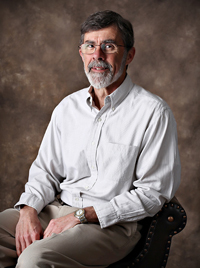 He has been in practice at Gadsden Pediatric Clinic since 1976. Dr. Dennis and his wife, Marilyn, have a daughter and a son, and four grandchildren. July 1976 – Present, Gadsden Pediatric Clinic, P.A.